Making a living as a musician is tough – nobody can argue that. Whether it's because of grueling touring schedules or low payouts from streaming services and dwindling single and album sales, this isn't an easy industry. Standing out from the rest and surviving takes a lot of effort, and you have to be smart enough to see opportunities as they come and take whatever you can get. Sometimes there's a niche that needs to be filled, and perhaps your band could be the one to fill it. The Atlanta-based band Yacht Rock Revue is a great example of a group that stumbled upon an odd way to make music their everyday jobs. While playing small shows with their own original songs, the band would occasionally throw in a throwback cover or two just for fun, and after only doing that a few times, they noticed that people really loved hearing soft-rock hits (and lesser-known tracks) from the '70s. It didn't take long before the band transitioned from performing their own tunes to those of former stars for a living, and since then, the band has become increasingly popular in their area. Member Nicholas Niespodziani explained that when the members of YRR were trying to make it as a band playing original material, it was incredibly difficult, as they all had to keep other jobs just to make ends meet. Niespodziani balanced touring and recording with being an SAT prep teacher and a golf caddy, all of which took him away from doing what he loved most: playing music. It was looking more and more like the world didn't need his indie rock band, but he and his friends did have a talent – one that people responded to. Switching to playing other people’s songs wasn’t an entirely easy decision though, and groups who are thinking of doing the same should be aware of this. In an honest and candid moment, Niespodziani said that when the group first became a "cover band" (for lack of a better term), he did struggle with the choice. "For some of us it was a psychological challenge. I'd always thought of myself as a songwriter more than a performer, and now performing is the way that I primarily make my living. That was difficult to get through. I had to drink quite a lot of whiskey to move beyond that," Niespodziani joked. While spending the majority of your time working another artist's catalog might be tough for some, it's also a legitimate way to be able to pay the bills, and not one that should be scoffed at. Many musicians have to do things that might not be their first choice (such as having other jobs in between tours and albums), but one that involves playing live could certainly be considered a better option. As it turns out, Niespodziani and the other musicians in Yacht Rock Revue don't have to compromise much. When they're not onstage playing covers, Niespodziani and the other members of the band all have other projects that help them unleash their creative energy. They get to run their band as they want, while also having fun on the side. 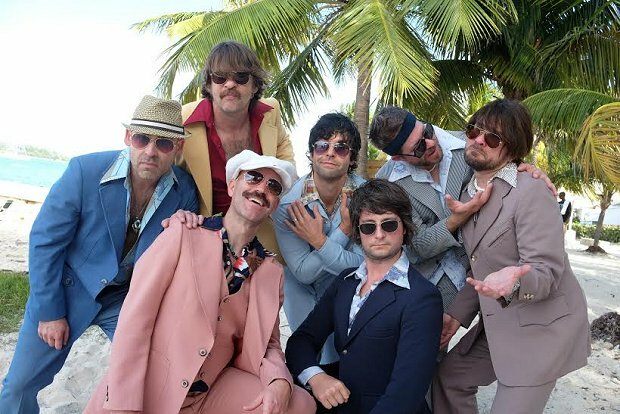 In the years since they've gone all-cover, Yacht Rock Revue has become a local favorite, and they play over 100 shows a year around the country. The band even has its own festival in Atlanta where they draw several thousand people to come out and hear their best covers, which are sometimes performed with the original songwriters or members of the bands that made the songs into hits (such as Journey and Starship). Though the majority of what he does is play other people's music, Niespodziani says that he now derives quite a bit of pleasure from his work, both because he's actually working with his instrument for a living and because what he does creates nothing but joy. At the shows, he and his bandmates can see how much fun everyone has, and the realization that it's their playing that caused all of this happiness is truly something to feel good about. So, should your band start playing more covers? It can be a complicated route – both technically and personally, as Niespodziani mentioned – but it's an idea worth kicking around with your bandmates.